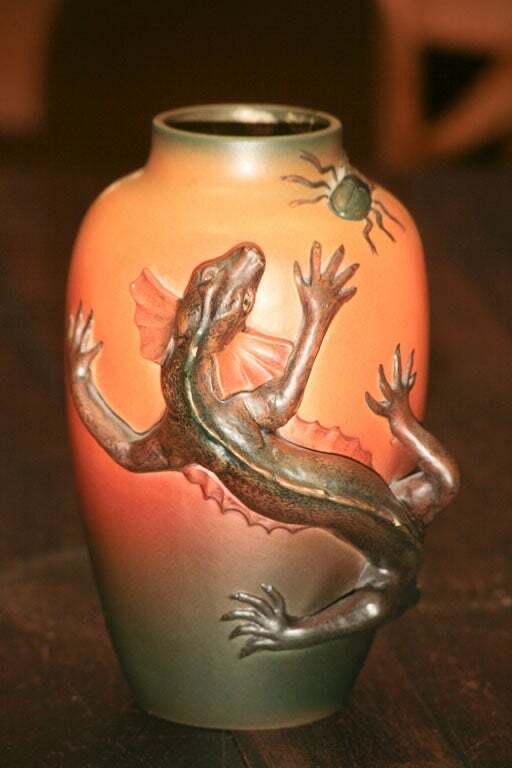 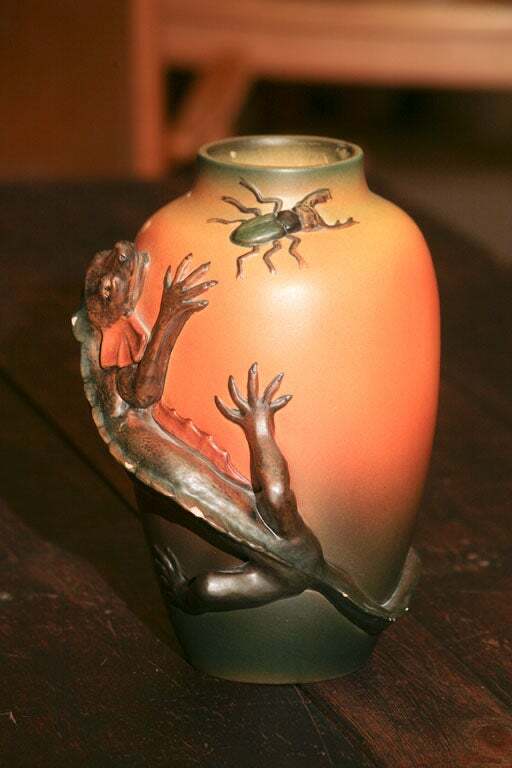 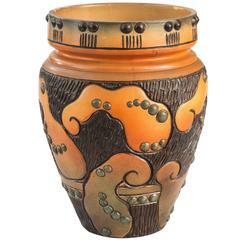 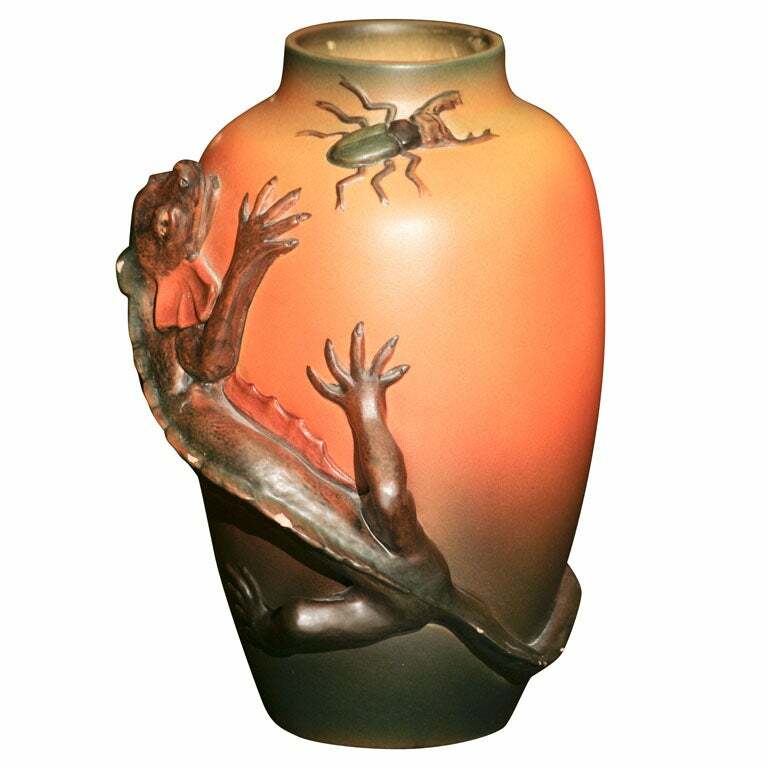 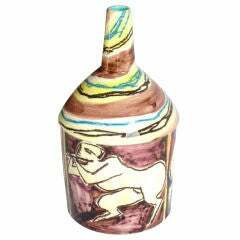 Vase by Ipsen pottery factory, of Denmark, c 1930's, in distinctive orange hue, depicting a lizard chasing a large bug. 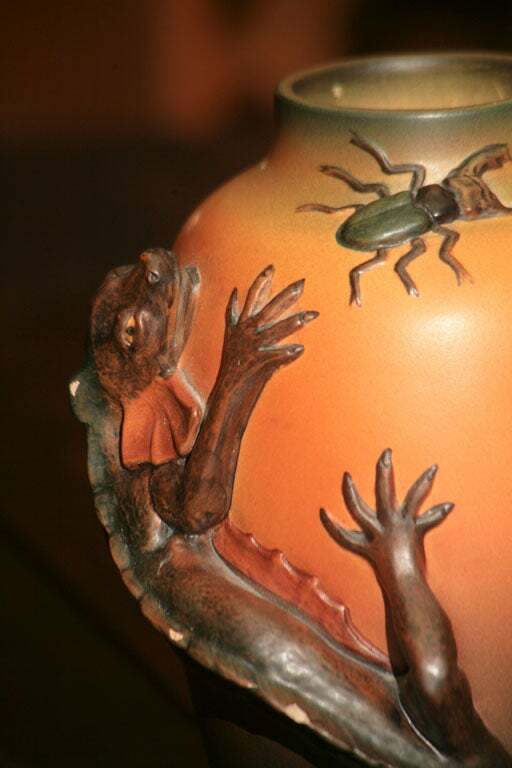 Some chipping to spine of lizard. 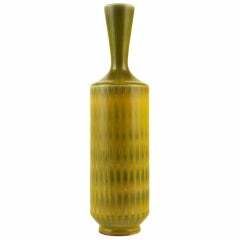 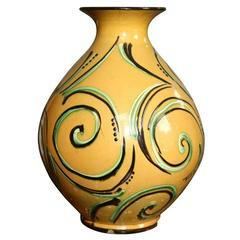 Large pottery vase from the Danish Kaehler Keramik factory, ground in yellow with green and black swirls by artist Julia Kabel. 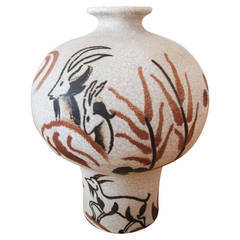 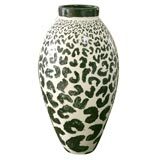 Unusual tall vase from the Kähler Pottery factory in Denmark, in white with thick black applique in an animal pattern, signed O. Knudsen, HAK. 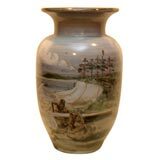 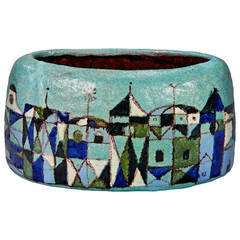 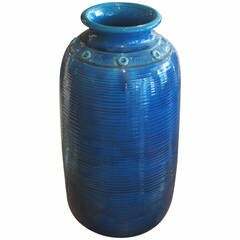 A wide vase of elliptical section, decorated with a wonderfully stylized townscape that wraps around the vessel. 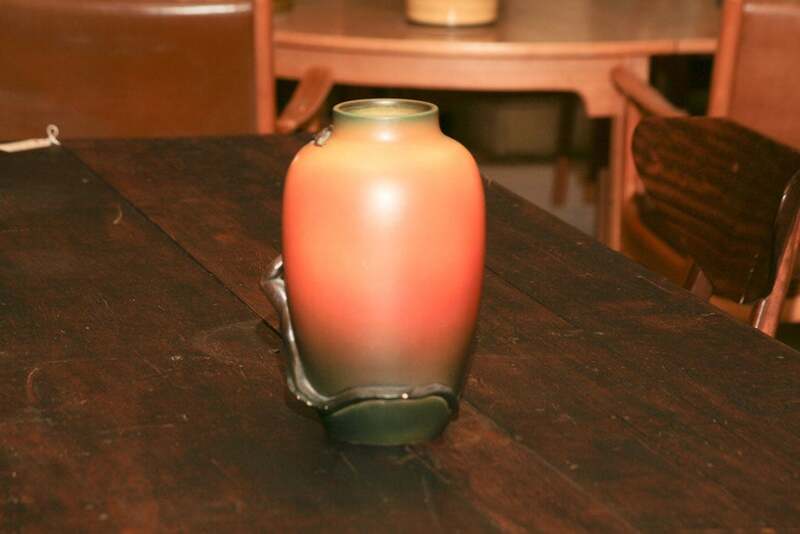 Signed [U. Pagliari / Made in Italy].